Covenant House Teen Volunteers Association By AAHS ! 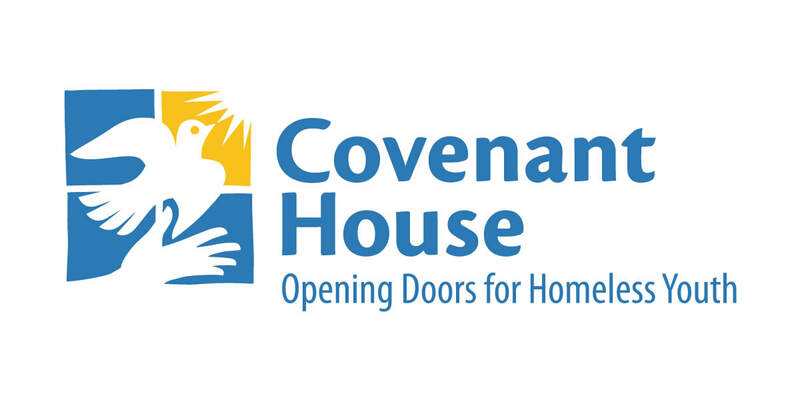 Covenant House is the largest privately funded agency in the Americas providing shelter, food, immediate crisis care, and an array of other services to homelessand runaway youth. In addition to basic needs, Covenant House provides care to homeless youth aged 14–20 (certain locations care for youth as young as 13 & adults as old as 24), designed to transition them into an independent adulthood free from the risk of future homelessness. Covenant House offers services including healthcare, educational support/GED preparation/college scholarships, job readiness and skills training programs, drug abuse treatment and prevention programs, legal services, mental health services, mother/child programs, transitional living programs, street outreach and aftercare. AAHS work with CHC, NY and Washington for case by case project. Power to Change is the name of the Human Rights Project by the Covenant House Volunteer Organization in collaboration with the Covenant House California (CHC) and the Covenant House New York. Through volunteer events, including fundraising, awareness campaigns, and direct communication with local legislature, this project is dedicated to be the change catalyst for teenagers trapped in poverty and human-trafficking. Connect: Our primary purpose is to connect the Covenant House California and New York to the greater Asian American community to raise awareness and save more innocent teens from human traffickers. collaborative support from the Covenant House. Results: For the first two years, our domestic campaign focused primarily on the west coast of the U.S. During the 3rd year, we kicked off the 1st fundraising campaign in connection with the Covenant House California and New York, increasing the number of Asian American volunteers in both the west coast to the east coast. During the 4th year, we successfully held the first online fundraising campaign with the Covenant House California and began a legislation campaign to end human trafficking, resulting in an overwhelming amount of petition signatures. Stand Against the Violence: One day, this global community will heal and we will bring positive impact to our global society and global force to stand against the abuse of teen human rights. Focus On Teen's Whole Life - Genuine volunteer activities that will produce a positive influence or change in their child’s life down the road towards their future career and life. Our philosophy is that the winning attitude should be, rather than focusing on volunteering for college admissions success, it will be a greater benefit for parents to focus more on their children learning about genuine volunteer activities that will produce a positive influence or change in their child’s life down the road towards their future career and life. Therefore, choosing a volunteer organization is important and I wish to introduce the Covenant House. Learn about helping others by learning from the very best organization with an excellent reputation in helping and rescuing homeless teens in the U.S. Our organization specifically focuses on a program to fight against human-trafficking that exists within the United States, which affects homeless youth. ​* "rescue" Power To Change project - teen publication : 5th edition for 2019! Content Courtesy / Use with permission. Disclaimer : All Covenant House photos and contents are owned by Covenant House. * Please contact us should you find any error on our web site.